The top right navigation displays the current cart totals. Purchase buttons are replaced with checkout buttons when the item already exists in the cart. This solution doesn’t seem optimal considering such a small part of the page is personalized. 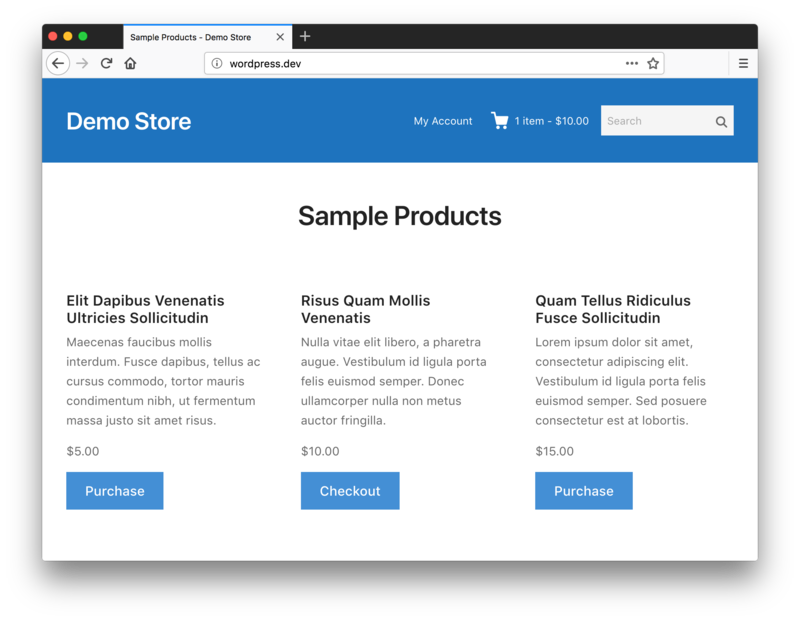 In this article we’re going to ensure we can continue to use page caching for all users regardless of whether they have items in their cart. Let’s get started! 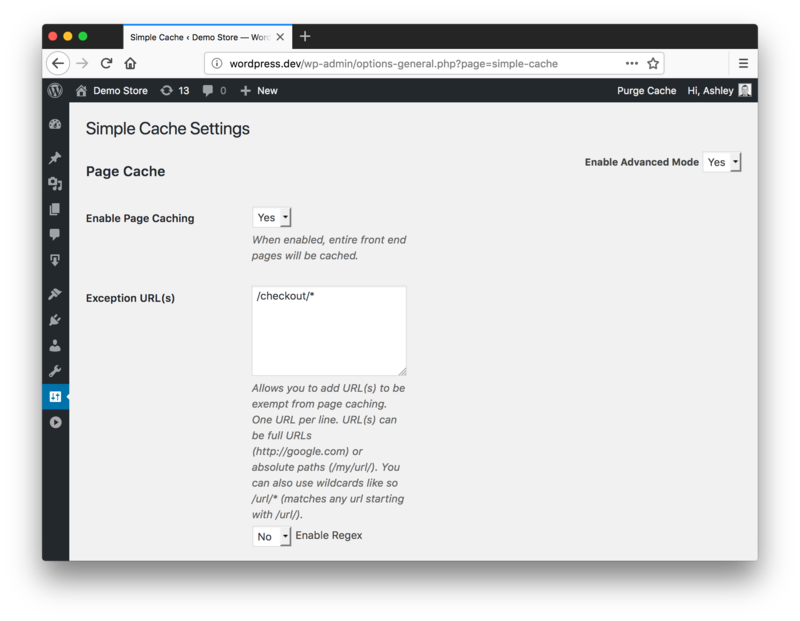 I’m going to demonstrate using Simple Cache in this article, but any page caching mechanism can be used, including Nginx FastCGI. A simple wildcard rule will ensure those pages are bypassed. The cart in the navigation. This should always show an empty cart. Purchase buttons are replaced with checkout buttons when an item exists in the cart. We should always output the purchase buttons. First we need to remove the current cart from the navigation. Luckily, Themedd is littered with filters, so we can easily remove the cart. It’s recommended that you don’t modify the Themedd theme and instead create a child theme. The following code is added to the functions.php file. Next we need to add a non-dynamic version of the cart back into the navigation. We’re essentially copying the original cart code but replacing the dynamic portions so that it always shows an empty cart. All of our pages are now cache-friendly. If you go ahead and purge the cache and reload the browser you will always see an empty cart and each product will show the purchase button, even if you have items in your cart. If you add an item to your cart the totals should update in the top right as expected. But, if you refresh the page you once again see an empty cart. Why is that? If you open the dev tools and check the cookies returned from the server you’ll notice our edd_cart cookie hasn’t been returned. However, if you load the checkout page you’ll see the cookie is present. This happens because we’re setting the cookie on the init hook, which is never hit if the page is cached (because WordPress is bypassed). Although we make an AJAX request to the server to add the item to the cart, the init action fires before the item is added to the cart so the cookie isn’t returned with the AJAX response. The solution is to ensure that the AJAX request responsible for adding a new item to the cart always returns the edd_cart cookie. Using init ensures we don’t have to maintain a long list of actions that we need to hook into to determine whether the cookie should be set or removed. Job done! You can view the final code on GitHub. Although the steps outlined in this article may seem like a lot of work, the difference in load times can be significant. If you’re pressed for time, bypassing the page cache using the edd_items_in_cart cookie is a quick and dirty solution. And if you take the time to implement the optimizations above, visitors will thank you for the improved load times. I’m not going to do a full set of benchmarks, but I will leave you with a simple before and after screenshot of the network panel in Firefox. Have you used a technique similar to this to improve the speed of your sites? Let us know if the comments below. This entry was tagged WordPress, Performance, Development, Cache, Easy Digital Downloads.